want the 9-5 headache that goes with it? 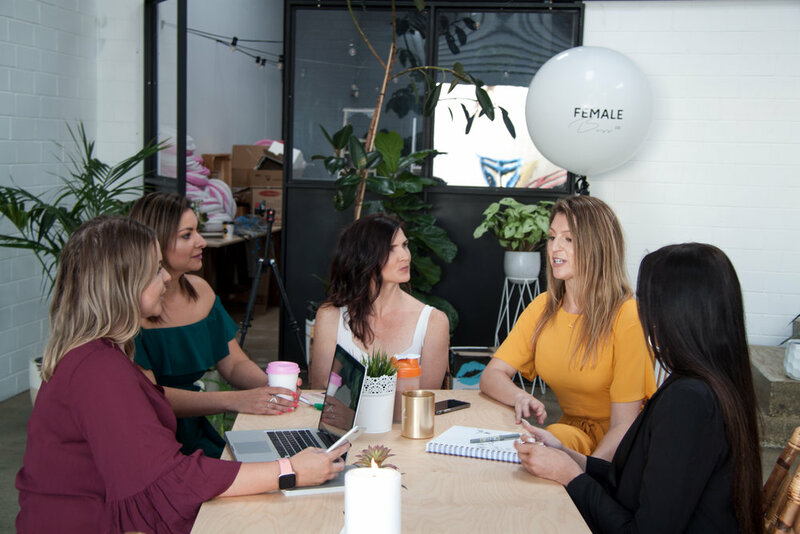 Here at Female Boss Co, our drive & focus has been on collaborating with focused, determined and ambitious women who are all on the path to success. We have actively sought out people who are highly driven that want more from life. Female Boss Co was borne out of vision with a collaboration of three entrepreneurial, determined and ambitious women who are all on the path to success & fulfilment. The backgrounds of the successful founders started with a single-minded vision for themselves and the life they wanted to live. Their mission in life is to help women feel empowered, more self worth, more courage & have more connection and desire for their life. They love seeing women grow and gain their confidence back, especially women who have stepped into motherhood. They are committed to helping women realise that they don’t need to just SETTLE for life and that they can create a healthy & fulfilling lifestyle which allows them to spend more time with the people they care about, doing more of the things that they love, more often. 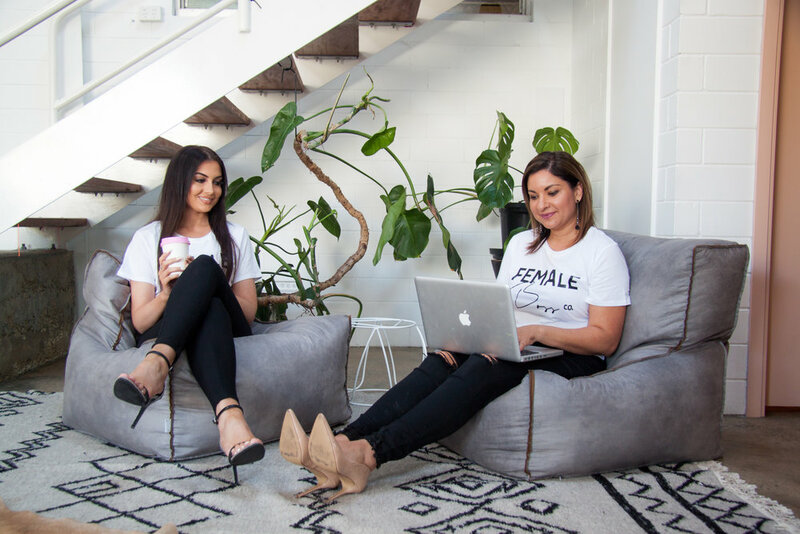 FEMALE BOSS CO is a collaboration platform geared towards ambitious entrepreneurs, professional women, social media gurus, content writers, mums and side hustlers! For others, it is having options – it’s to gain a better work-life balance, want flexibility to pick their own hours, wanting to pursue a new career or to start a new business? Whatever your ultimate lifestyle looks like, we are committed to support you and your business to make it a reality. We teach people how to create their own sustainable online business harnessing the power of social media as part of our step by step proven business system with our online boss body program alongside a nutritional support product. The majority of people live in a digital world which means our tried and proven business model is a great way to allow people to connect with each other around the globe using a business that fits around peoples’ busy lifestyles. We truly can create whatever we want in life, as long as we have a desire to be more, want more and help others. Even the busiest Female Boss Co Brand Ambassadors work a maximum of 4 hours a day. You will not only be in control of your financial independence but you will be investing in the health of your family and loved ones too. It costs nothing to find out more. Female Boss Co Brand Ambassadors are growing rapidly all over the globe. We are in 27 different countries so there is a good chance you will already have someone you know who is doing this. We help women create a side hustle from the comfort of their home. We will help you balance your work-home life by creating a second stream of income. We have created such a dynamic group of women that provide support and inspiration. We provide you with a unique platform that will empower you to create your vision for your life & empower other women to do the same. All Female Boss Co Brand Ambassadors pick and choose the hours they work. All of our Ambassadors use the professional and personal skills they have naturally developed over time to drive their future success. Our Brand Ambassadors choose where they work from; home, cafe, beach or abroad.